So the first week of August is a big week for the Indianapolis chefs who are heading to New York to prepare a dinner at the James Beard House. Chefs David Tallent of Restaurant Talent in Bloomington, Aaron Butts of Joseph Decuis in Roanoke, Jonathan Brooks of Milktooth, Chris Eley of Goose the Market, Peter Schmutte of Cerulean and bartender Joshua Gonzales of Thunderbird will work together to present an Aug. 6 dinner featuring Indiana ingredients. 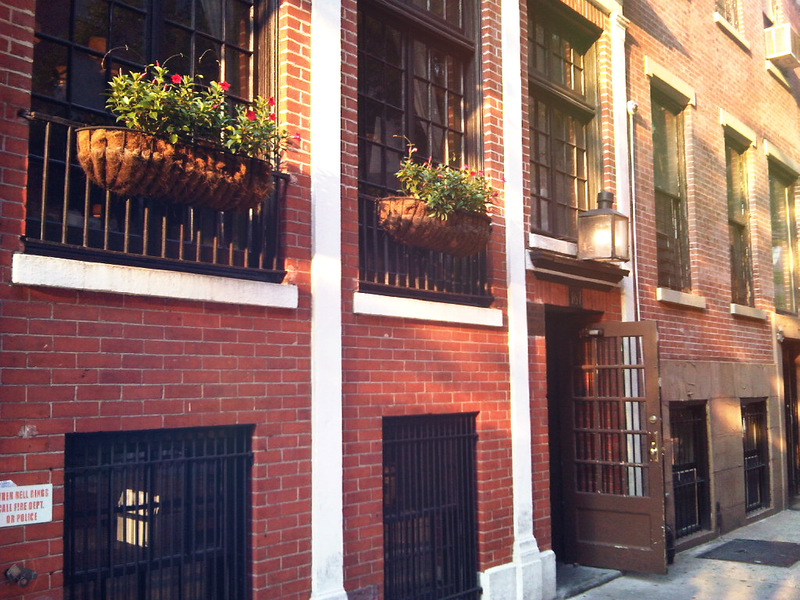 The Beard House was the actual home of James Beard, the late great cookbook author and champion of American cookery, and it now serves at the headquarters of the James Beard Foundation. Chefs from all over the country come to New York to cook at the Beard House. So it’s pretty cool that R.J. Wall of Chefs’ Night Off organized a dinner featuring some of our top local chefs. It’s great that the Beard House serves as a venue for dinners like that, and that the James Beard Foundation Awards honor some of the country’s top chefs. I’ve been a member of the Beard Foundation for a long time as part of the Great Lakes region committee, but I went to the Beard awards for the first time just a couple years ago. The awards were in New York City that year – where they usually are — and I went out by myself, attended the awards and the gala afterwards, and it was awesome. All the famous chefs whose names and faces you know and all the people attending the awards with everyone in black tie and all of the terrific food – well, it was an incredible experience. But while I was there, I couldn’t but think that it would be even better to share the experience. I mean, it just isn’t as much fun playing spot the famous chefs by yourself. And I thought that it would be especially cool for some of Indy’s up-and-coming chefs to get to go, to experience it all and to feel a part of the national food scene. It’s pretty pricey, though – tickets to the awards ceremony and gala are $500 bucks, and you’ve got travel expenses and lodging in New York City. I get a ticket to the awards, but it’s still an expensive trip. But when the Beard Foundation announced that this year’s awards would be in Chicago, well, that made it easier – a Megabus ticket was certainly cheaper than airfare to New York. Still, with tickets as expensive as they are, it’d be tough for any young chef to make the trip. Early this year, after the list of Beard semi-finalists was announced in February, I mentioned to Ivy Tech culinary instructor Thom England that I wished some of our chefs could go to the awards and soak up the atmosphere and really feel a part of the national food community. Thom suggested contacting local organizations, such as the Central Indiana Community Foundation, to see if we could get some of the costs covered. And sure enough, CICF president and CEO Brian Payne provided a grant to help underwrite the costs for four of Indy’s top young chefs to make the trip to the May 4 awards. Dig-IN, Slow Food Indy and the local chapter of the American Culinary Federation also contributed. So Alan Sternberg, executive chef at Cerulean, Peter Schmutte, pastry chef at Cerulean, Jonathan Brooks, chef/owner at Milktooth, and Abbi Merriss, chef/partner at Bluebeard, all got to attend the Beard Awards. I went again, and Thom England did too. It was a great trip. And even though the award ceremony itself ran long, the gala afterwards – and then the after parties after that – were terrific. Plus, it was great to have the Indianapolis food community represented. And of course the hope is that eventually we’ll be there cheering when an Indianapolis chef wins a Beard Award. It might be sooner than you think. Jolene Ketzenberger covers the local food scene at EatDrinkIndy.com and on Eat Drink Indiana Radio on WFYI.